We are committed to providing buyers and tenants a full service. As at June 1st 2013, property energy certificates will become mandatory for any property being sold, and any property being rented for more than 4 months. The certificates will be required upon completion. The Notary will make the request to each interested party. In accordance of the Real Decreto 225/2013, properties for sale and rent must show their energy efficiency labels in all versions of advertising. We have decided to make the whole process much easier for our clients. We recommend a company called ARKItasa for the seller, or landlord, to request an energy certificate. 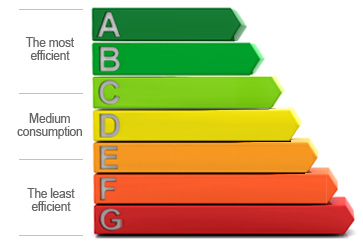 The energy certificates must include the building energy rating and any objective information on the energy characteristics of the property. Any existing buildings must have information on recommendation for improvements. The certificate must be signed by people who are suitably qualified. For example, a technical architect, architect or an engineer and they are valid for 10 years. This entry was posted in News and tagged mallorca energy performance certificates. Bookmark the permalink.